Vale Press were pleased to sponsor the recent Business Sporting Club Dinner in Stratford-upon-Avon where the guest speaker was Eddie ‘the Eagle” Edwards. We were really keen to be able to nominate our local heroes at the Shakespeare Hospice as the charity to benefit from the raffle proceeds. 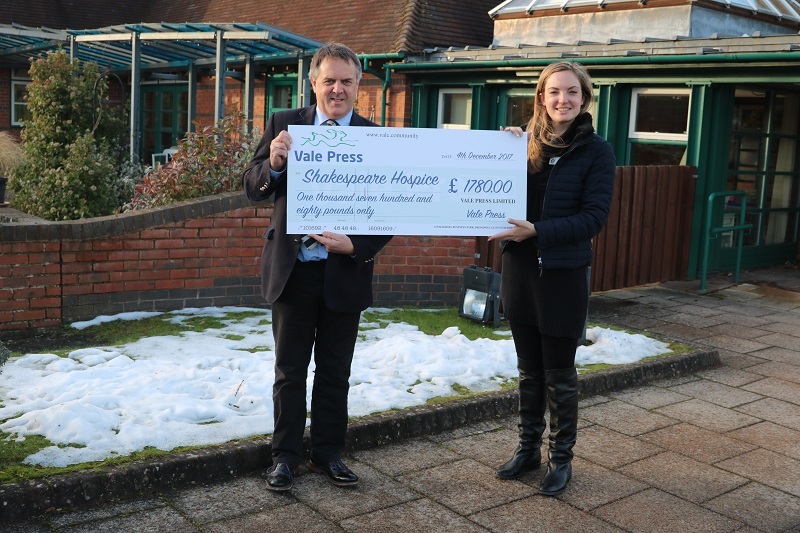 At Vale we’re proud to have the hospice as one of our print customers and so it was a pleasure to hand over our “big cheque” for £1780 to help support the fantastic work the hospice does. Our thanks again to those who donated and in particular to Jean & David Duckham who organised the dinner.